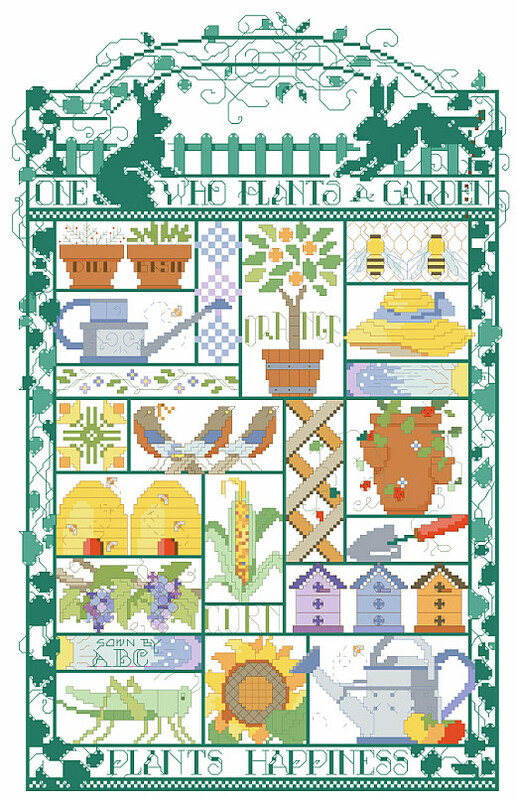 This delightful Garden Sampler is pieced like a quilt with each square depicting a different motif from a garden setting. A watering can, a grasshopper, and a straw hat are just three of the many icons displayed. 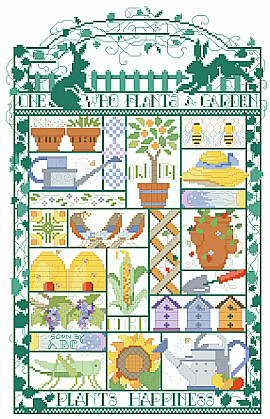 The vine-covered arbor is a perfect frame for the design.